This past Yom Kippur, Jeffrey Solomon’s daughter was away at grad school. 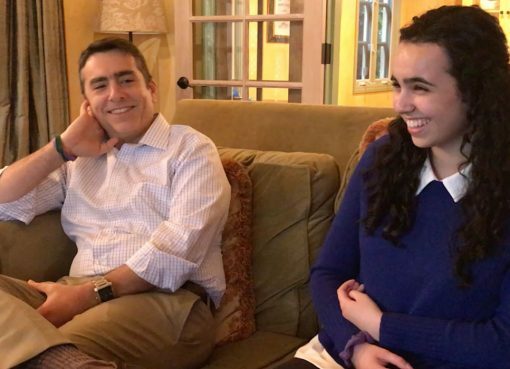 She longed to be there with her family for the service so she texted her father, who is president of Temple Etz Chaim in Thousand Oaks, California, in the days leading up to it asking if the service could be livestreamed so that she and other college students could be there from afar. The morning of Yom Kippur when Temple Etz Chaim announced they would be streaming, many parents quickly asked for access for their own kids. Increasingly, people are now able to experience an authentic and dynamic Judaism not only in person at their local synagogue, but also virtually from their cell phones, computers and tablets thanks to livestreaming. There are professionals who stream when they are traveling out of town for work. There are couples that stream from their cruise ship or hotel when they are away on vacation. There are people who are recovering from surgeries or battling illnesses, or seniors who find it too difficult to come to synagogue to attend in person each week. “They might not be able to make it, but they can always stream,” says Jeffrey. 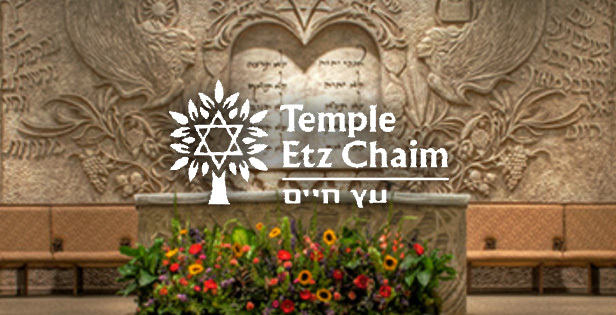 Temple Etz Chaim just recently implemented livestreaming in its sanctuary and social hall. When Jeffrey stepped into the role of president in June, it wasn’t yet a reality. One family who was having a B’nai Mitzvah had a grandmother in South Africa who couldn’t be there in person for this major life event. They approached the rabbi to see if they could stream the service and were given permission. A community member saw this and expressed interest in sponsoring livestreaming so that the entire community could benefit. Jeffrey contacted the donor, and livestreaming soon became a reality at the congregation. 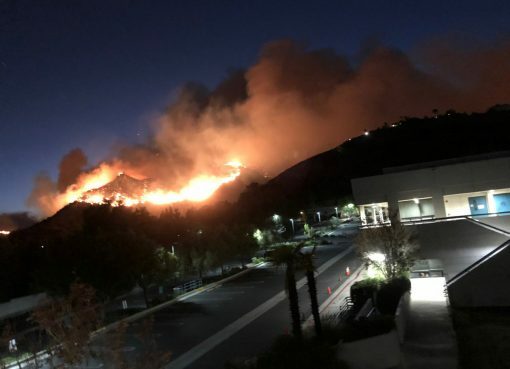 Since then, livestreaming at Temple Etz Chaim has served to connect more people near and far. One of the coolest aspects of it all, says Jeffrey, is you can see where people are when they are watching – people have watched from as far as Sweden and even Australia. 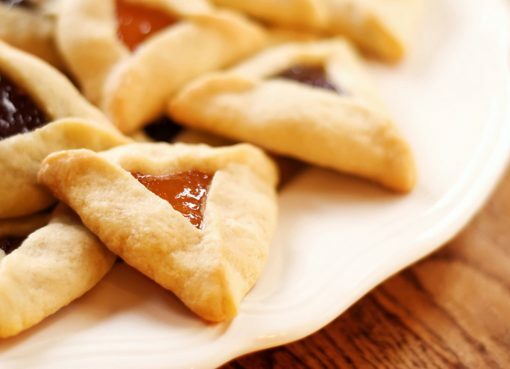 Temple Etz Chaim now streams services, special holiday observances and family rituals, from Friday night and Saturday morning services, to a cantors’ concert. Jeffrey even recently used a phone app to tape and stream a board meeting. B’nai Jeshurun Congregation of Pepper Pike, Ohio, knows these benefits of livestreaming well. Their journey began even earlier—in 2014—after their senior rabbi saw that several Reform synagogues in Cleveland were doing it. “We started in the main sanctuary where we have services every Saturday and it was well received, so we expanded to a smaller chapel where we have our daily minyan,” says B’nai Jeshurun Congregation’s Executive Director Jay Ross. “We’ve had great success with Saturday morning streams. We stream all of our holiday services as well. This past weekend, we had what we call Weingold Weekend, where the Weingold family sponsors a major speaker on Friday night, Saturday morning and Saturday afternoon. 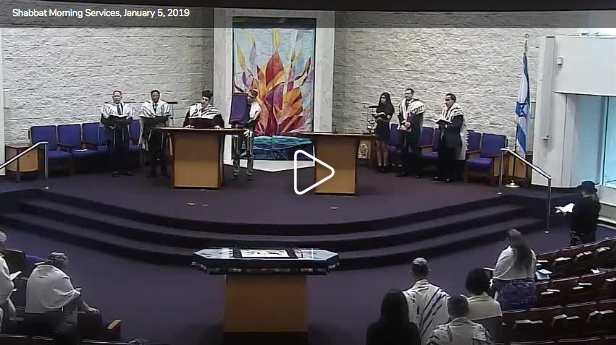 We streamed all of it.” B’nai Jeshurun Congregation has also streamed B’nai Mitzvah, weddings, funerals and a baby naming. People have tuned in from Israel, England and South America, and Jay has even burned DVDs of special events, like the baby naming, for family members to keep. A recent article on livestreaming in Tablet magazine addressed issues specific to Conservative synagogues around the trend. 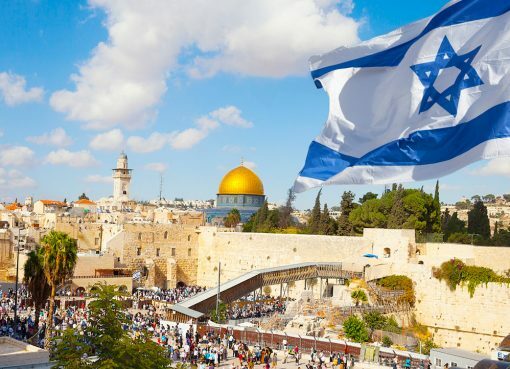 Conservative rabbis with whom the magazine spoke said they made the decision to livestream only after carefully studying Jewish law and the teshuvot or responsa of the Committee on Jewish Law and Standards of the Rabbinical Assembly, the international association of Conservative rabbis. Read the article that includes their concerns and how they addressed those here.